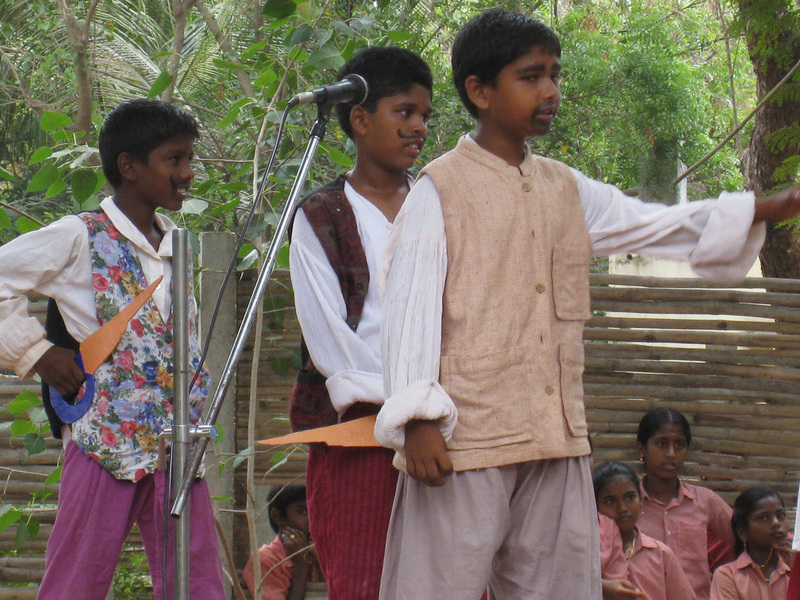 Drama program at Udavi had been an important tool to promote extracurricular education. Beside, the free exploration of drama activities and fun games for students, the program stimulates in the students values such as teamwork, creativity, leadership quality and serves as a platform to improve their English language skills. The Drama program helps to deepen the imagination skills as well allows students to explore issues and experiences, in a safe and supportive environment. After going through a period of basic drama training a comprehensive program is offered that includes a brief introduction to drama, breathing exercises, voice training, body work, simple yoga postures, mime, improvisations, games (collaborative, competitive, fun) and relaxation. Performing 3 plays every academic year, each classroom gets a chance to do drama performance for the audience. The program is spread throughout from KG to 9th std. 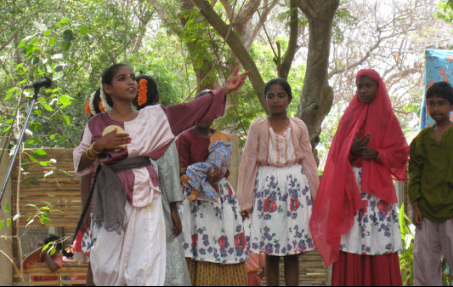 Plays are performed from various themes that include self written stories of children, fairy tales, folktales, moral/value stories and mythological stories.